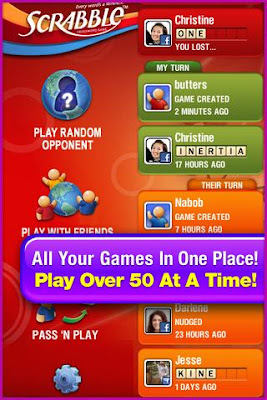 Official scrabble game by EA for your android device has been updated. It’s the wordplay you’ve been waiting for! Now play america’s favorite word game on your android smartphone – and play for free. Featuring cross-platform play, you can play scrabble with friends across different devices, including iPhones! Socialize and stay in the game! During gameplay, the chat icon will blink when you have a message. Download the scrabble game for FREE from Android market.